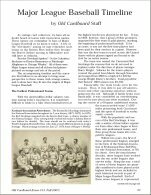 The cover and the table of contents for Issue #14 are shown below. 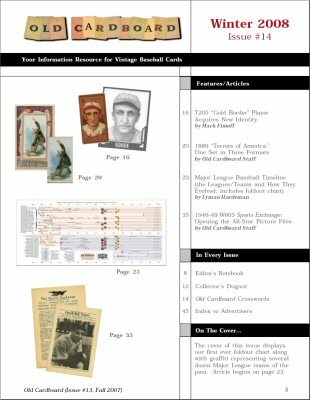 1) "Major League Baseball Timeline," by Lyman Hardeman. 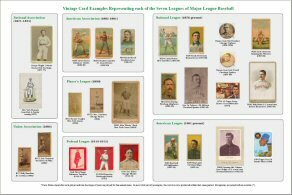 An overview of the seven leagues generally considered by historians to be part of Major League Baseball. Includes Old Cardboard magazine's first ever 3-page foldout. 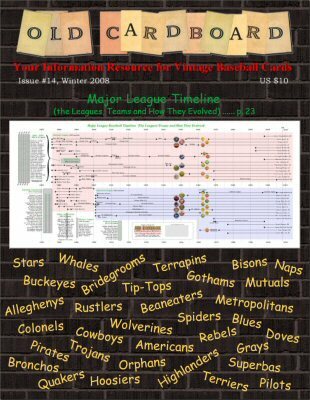 The timeline foldout traces every team from all seven leagues. 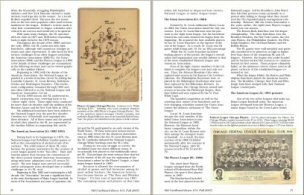 The accompanying article provides a narrative overview of the history and origins of each of the seven leagues represented in the foldout. 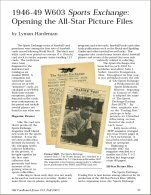 2) "1946-49 W603 Sports Exchange: Opening the All-Star Picture Files" by Old Cardboard Staff. 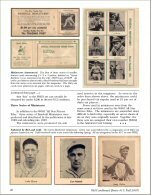 Published just after World War II, the pioneering Sports Exchange issued a series of more than a hundred oversized cards. This article profiles the publication and the card set and includes a gallery of thumbnail images for the entire 100-plus card run. Three related "miniature" sets (W602 in the ACC) are also discussed. 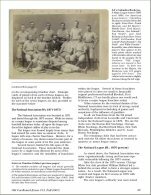 3) "T205 'Gold Border' Player Acquires New Identity" by Mark Fimoff. 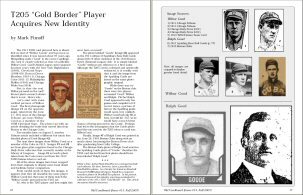 A photo researcher and member of the Society for American Baseball Research (SABR), author Fimoff documents the true identity of the T205 image believed for the past 97 years to be that of "Wilbur Goode" as labeled on the card. 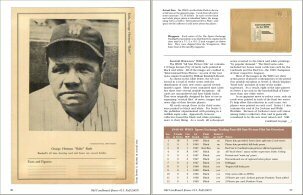 Fimoff not only disproves the Wilbur Goode photo id, but unveils the true identity of the player pictured on the card. 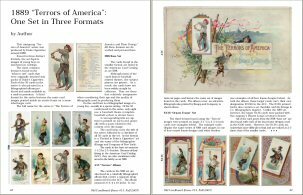 4) "1889 'Terrors of America:' One Series in Three Formats" by Old Cardboard Staff. Three closely related card series titled "Terrors of America" were Sponsored by Duke Tobacco in 1889. 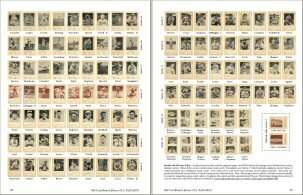 The 50-card series includes eight cards featuring a baseball-related theme. 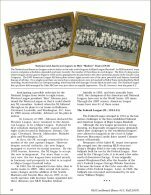 All three issues (listed in the American Card Catalog as N88, N136 and a companion album A33, respectively) are profiled in this summary article.